Although the changing of the seasons is gradual, some years it seems to happen in an instant. This year in particular, the corn in the fields went from green one day with a few rust-colored patches, to completely brown and withered, seemingly overnight. The bright green leaves in the woods and along driveways are suddenly crumpling up before our eyes and dropping like a quiet summer rain. The angle of the light too has changed as the days shorten and the primary colors of the landscape transform into rich yellows, golds and oranges. Pumpkins, those copious orange orbs that show up everywhere from your local WalMart to every grocery in America, are one of the first signs that fall officially has arrived. Do pumpkins just magically appear in retail stores, like the GREAT PUMPKIN in Charlie Brown’s pumpkin patch, or how do they get to market? 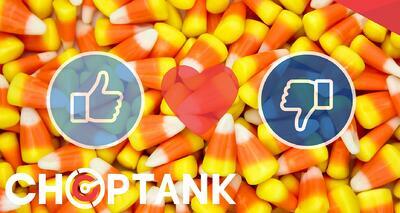 Companies like Choptank Transport ship thousands of pumpkins each year. We are experts in food logistics, including all types of produce like pumpkins, apples, gourds, and other perishable and non-perishable products. Pumpkins: The top producing pumpkin states are Illinois, Indiana, Ohio, Pennsylvania and California. *Pumpkins can be broken down into four usage and size categories: giant, Jack O' Lantern, pie and ornamental. Giant pumpkins range from 25 to as large as 1,000 pounds. Jack O’ Lanterns are usually ribbed fruits with smooth to bumpy orange skin ranging from about 10 - 25 pounds. These are used typically for carving during Halloween; they also are used to make pies and other dishes, for stock feed and for their edible seeds. Pie pumpkins—named for their most common use—are generally smaller and sweeter with smooth, firm, bright flesh ranging from about 5 - 10 pounds. Ornamental pumpkins are miniature, usually weighing less than a pound, and used primarily for decoration. While pumpkins are typically thought of as being orange with smooth skin, varieties range from white or orange to green with either a bumpy or smooth texture, and from solid colored to striped. Candy Corn: You either love it or you hate it. There’s no middle ground when it comes to candy corn. This commodity, usually associated with fall, dates back to its invention in the late 1880s. Can you believe that 35 million pounds of candy corn are produced each year? That means about 9 billion individual pieces! That’s enough to rot your jaw. For those of you concerned about your waistline, each kernel is about seven calories. The candy originally was called “chicken feed” since corn was, indeed chicken feed. The company now known as Jelly Belly (formerly Goelitz) invented the amazing technology that created the tri-colored sweet. Shipping produce like apples and pumpkins is a specialized service and onl y experienced 3PLs should be trusted with this kind of freight. If the shipment arrives damaged, too cold or too hot, the whole truckload can be refused, requiring a claim and loss of time and money. 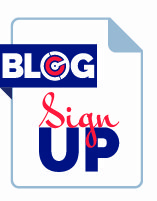 Visibility into each and every shipment should be a requirement of your 3PL, especially with perishable goods. Make sure your transportation provider is up to speed and offering the latest supply chain technology. 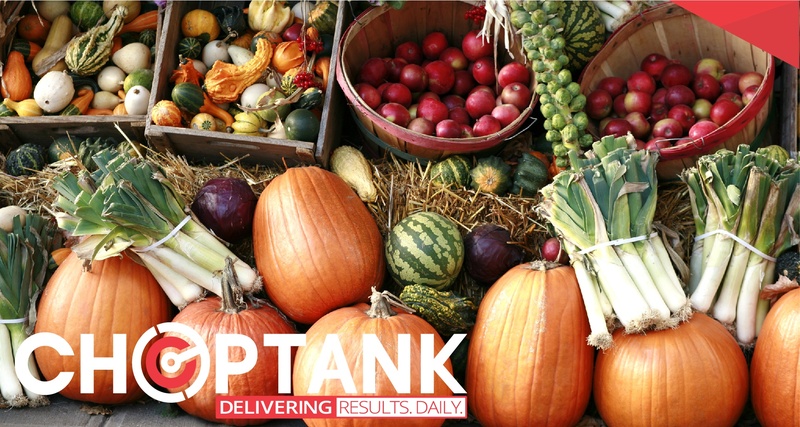 Whether you’re interested in shipping truckloads of pumpkins and apples or pallets of LTL confections, Choptank Transport has the logistics solution for you. 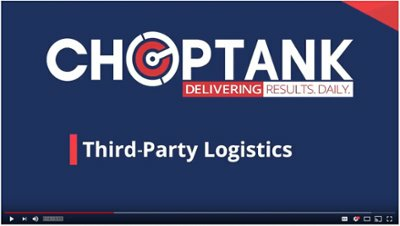 Choptank is on Food Logistics Magazine’s “2018 Top 3PL and Cold Storage Providers” list for its seventh consecutive year. Check out our website to review all of our award-winning transportation services.